Irish national Michael Jennings, 74, is accused of causing a fellow resident at the Royal care home on York Road, St Annes, grievous bodily harm. The pensioner received a broken neck in the incident on Sunday October 14. Mr Jennings, who suffered a serious stroke 14 years ago, was arrested after police studied CCTV footage of the incident, and has been living with his brother in Lord Street, Southport, since the alleged incident. Judge Andrew Woolman permitted Jennings to stand in the public gallery in Preston Crown Court, assisted by his brother, on account of his health difficulties. Representing him, Philip Tully requested an adjournment in order for medical reports to deem whether he is fit enough to enter a plea. He said: " It is the first time I've spoken to him this morning. It is clear from the conversation that he is having great difficulty understanding why he's here, not having any recollection of the events of the incident which has led to him being before the crown court. "I've asked him some general questions to see if he can assist or provide instructions and I am concerned he won't be able to. It's along those lines we will require medical reports. "There are some concerns as to whether there's an element of dementia. Mr Jennings suffered a massive stroke 14 years ago which rendered him very ill indeed, and it seems to me he has been living with the effects of that over 14 years. "He was living on his own a while ago, but he had been living in the home a couple of years. It's set against that background. He will have to go and be assessed and we will obtain the reports that will be required." 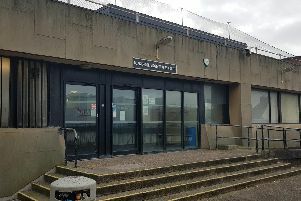 The next hearing of his case will be at Preston Crown Court on January 11 for a plea hearing and his trial is expected to take place on April 2.